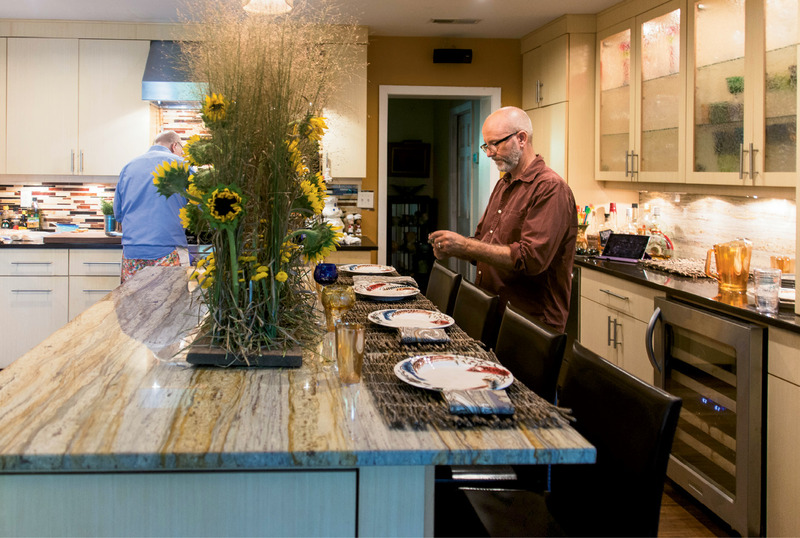 David Vagasky (left) preps the meal while Jim Martin sets the dining space. 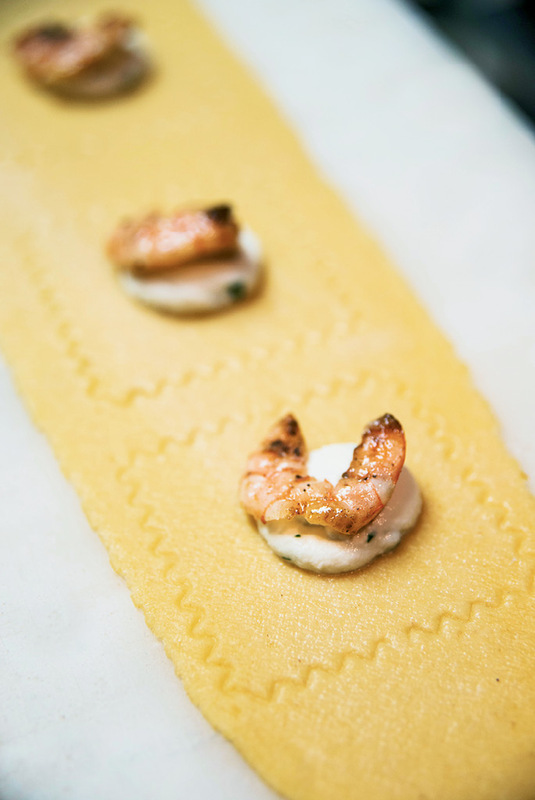 After kneading the pasta dough, Vagasky rolls it out with a hand crank, then stamps out individual raviolis and fills each with a shrimp and a dollop of ricotta. Martin prefers using Roma tomatoes for sauce, because they’re still fresh in November. Lettuce is prepped for a fresh side salad. “It’s all about what I have in the garden,” says Martin. This classic Southern pie is delicious served on its own or topped with whipped cream. PHOTO: David Vagasky (left) preps the meal while Jim Martin sets the dining space. When dinner menus are dictated by the season, you never know quite what you’ll get. “Every day, Jim brings in what he calls the ‘mystery basket’ of whatever he’s growing and asks me to figure out how to use it,” says David Vagasky. 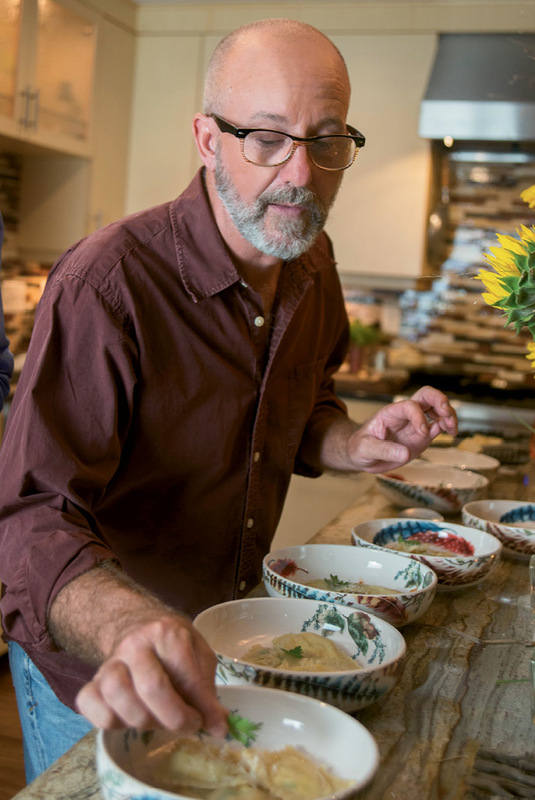 The cooking challenge suits the chocolatier and pastry chef instructor at the Culinary Institute of Charleston, whose childhood suppers in Minnesota embraced the plant and animal yields of his family’s farm. For his part, Jim Martin, Vagasky’s husband, has made a career out of growing and harvesting vegetables and herbs at Compost in My Shoe, a CSA farm on John’s Island. “‘Fresh’ produce in most groceries has traveled some 2,000 miles,” notes Martin, who sources many of their supper ingredients from his personal garden beds as well as from other area green thumbs and purveyors. 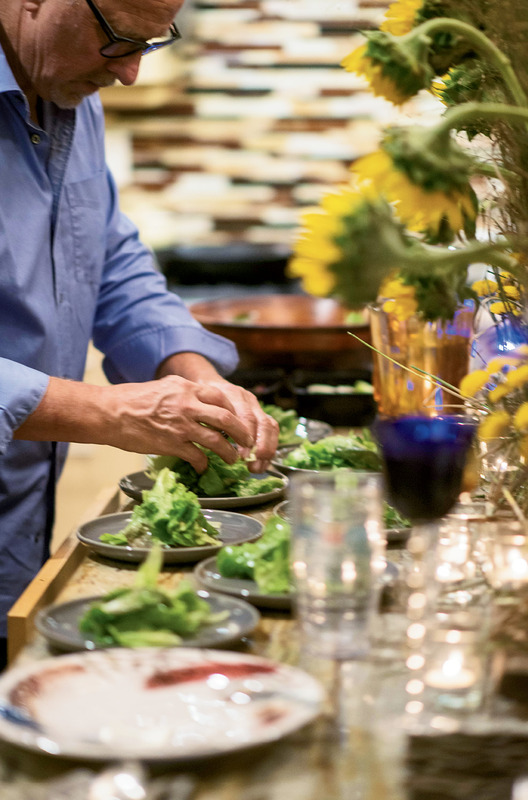 With the local fare on hand, Vagasky swiftly crafts creative dinners. Several times a month, the pair opens their James Island home to friends and colleagues, inviting guests to gather around the couple’s large granite island, decorated with flowers cut from the farm. 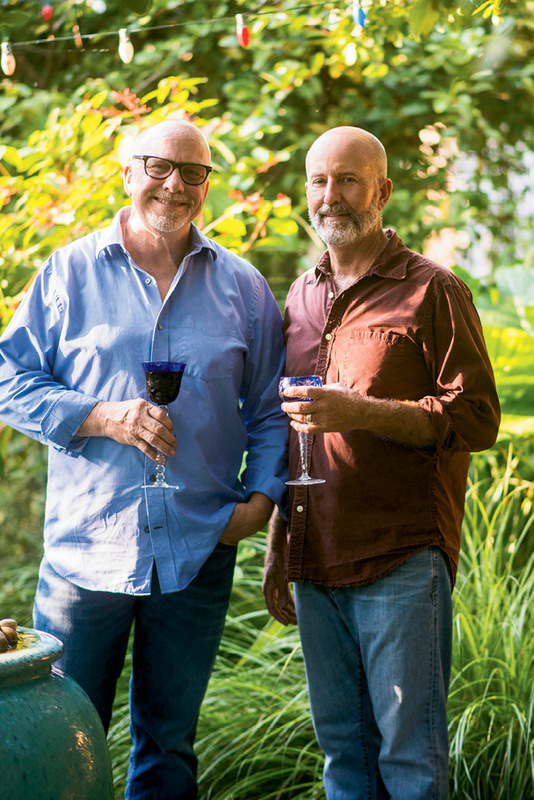 In the relaxed kitchen, Martin pours wine while Vagasky dishes up starter plates brimming with hand-stuffed shrimp ravioli and an autumn salad. 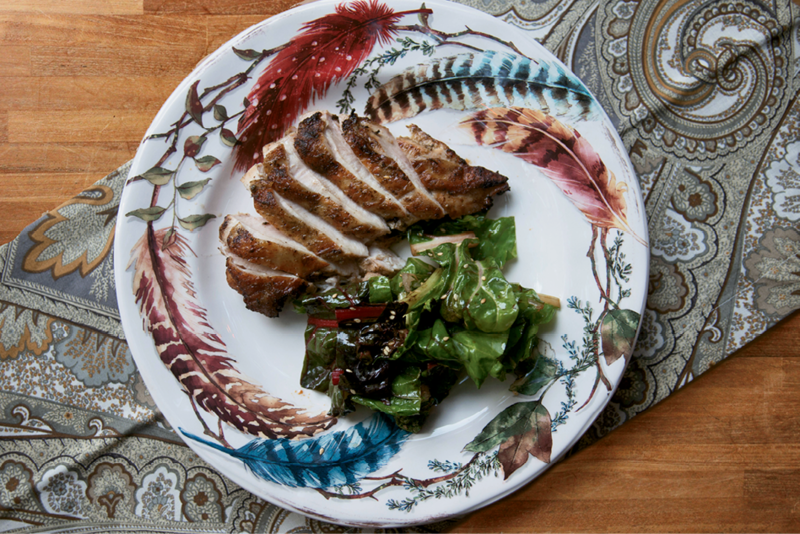 Later, grilled chicken and sautéed swiss chard will complete the meal. 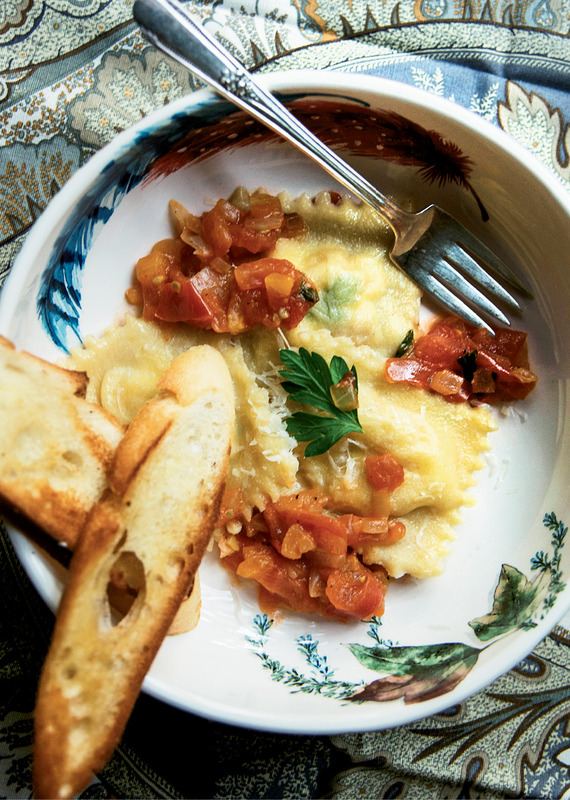 Before making the ravioli, Vagasky and Martin chose flavors for the dumplings, picking fillings of smoky shrimp and homemade ricotta and a bright Roma tomato sauce for serving. 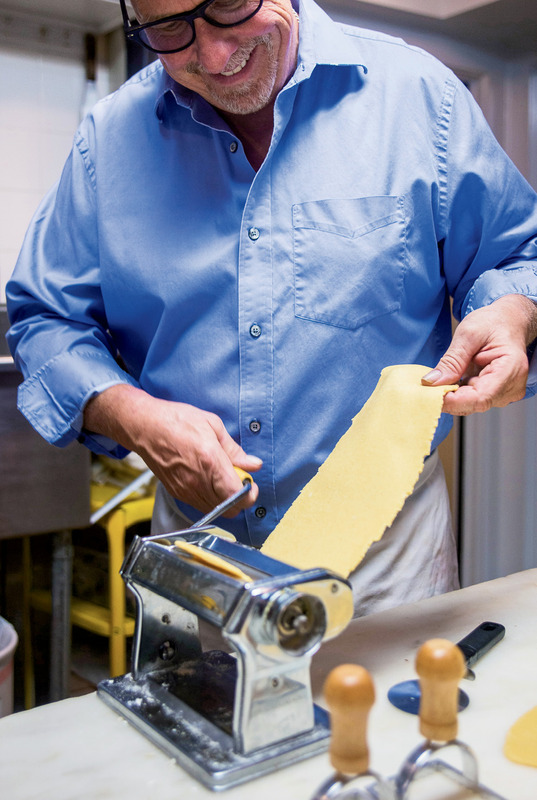 “My excitement for freshly made ravioli starts as soon as the prep begins,” says Vagasky, who adds semolina flour to the dough for a smooth consistency before kneading it and running it through a hand-crank machine to roll the pasta into an ideal thickness. 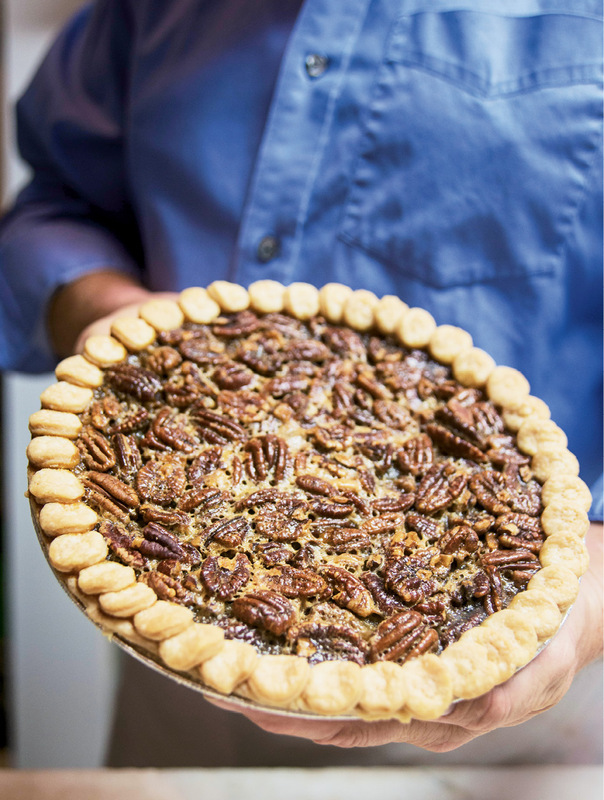 Slices of sweet pecan pie—made using a modified circa-1984 recipe Vagasky pulled from the back of a Karo syrup bottle and popularly used at his much-missed restaurant, St. Johns Island Café—are savored as conversation dies down, and soon the friends clear the table. “The success of a dinner party shows the next morning, when you wake to a kitchen cleared of all but the flowers and wine glasses,” laughs Martin. The gesture is much appreciated by the farmer, who rises before the sun, as early as 4 a.m., to tend to his fields. Work: Vagasky serves as a chef instructor at Trident Technical College’s Culinary Institute of Charleston, as well as co-owner of Charleston Chocolatiers. Martin operates the CSA farm Compost in My Shoe and acts as director of programs for Charleston Parks Conservancy. 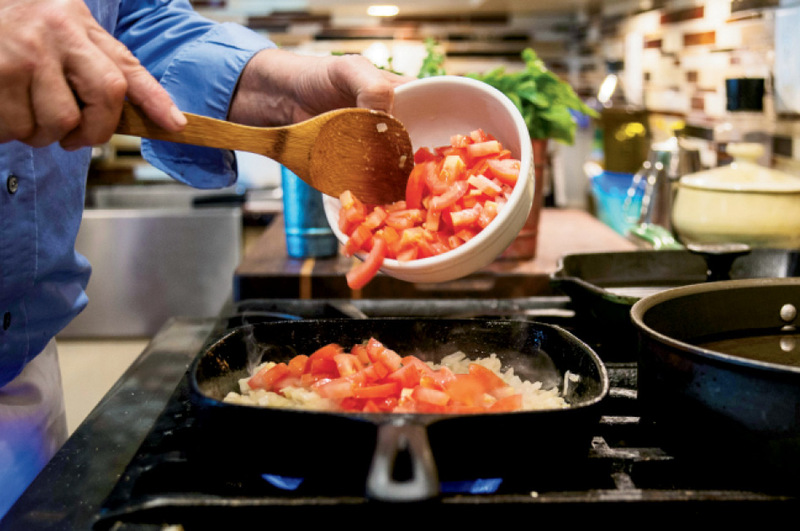 Dig These Books: “In Brassicas: Cooking the World’s Healthiest Vegetables, author Laura Russell explains how to prepare specific veggies in a healthy way,” says Vagasky. “Vegetable Literacy by Deborah Madison is another vegetarian cookbook that I love,” adds Martin.